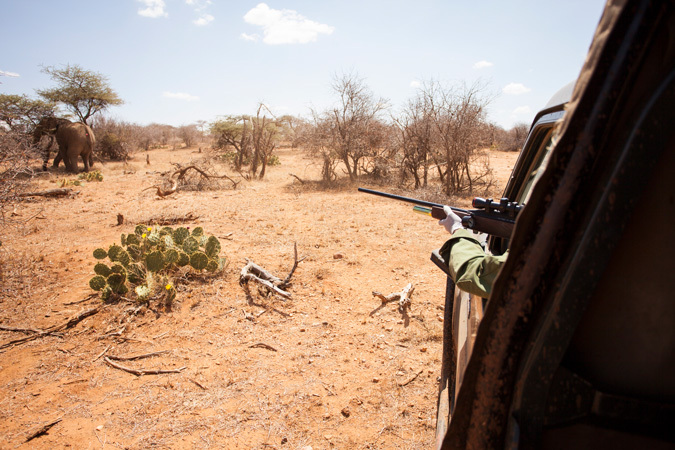 In the past months, Laikipia in central Kenya has seen numerous incidences of the killing of wildlife by armed pastoralists. The situation remains volatile in places, with drought and local politics being the primary reasons for the unrest. 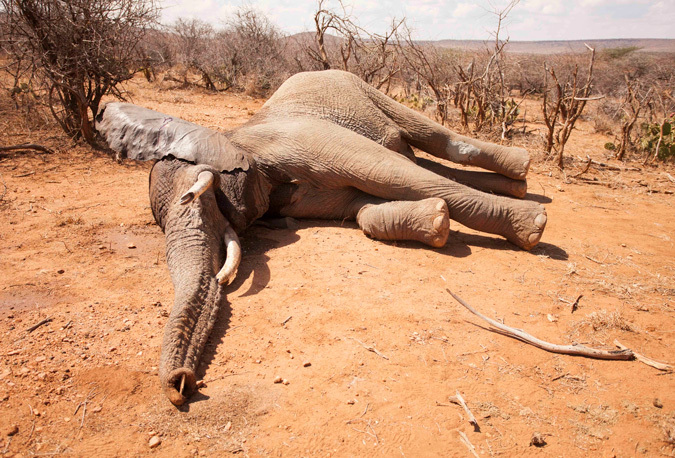 Elephants have come into the firing line, with over 20 killed in recent months and more injured. Some of the injured do not recover, but sometimes there is a glimmer of hope. I got a call from Dale Scott, Loisaba Conservancy’s Security and Wildlife Manager, informing me that the rangers on the 56,000-acre property had spotted an injured elephant. Initial observations indicated that it had been shot in the leg. The 30-year-old bull elephant could barely put his weight down on his leg and limped around uncertainly. 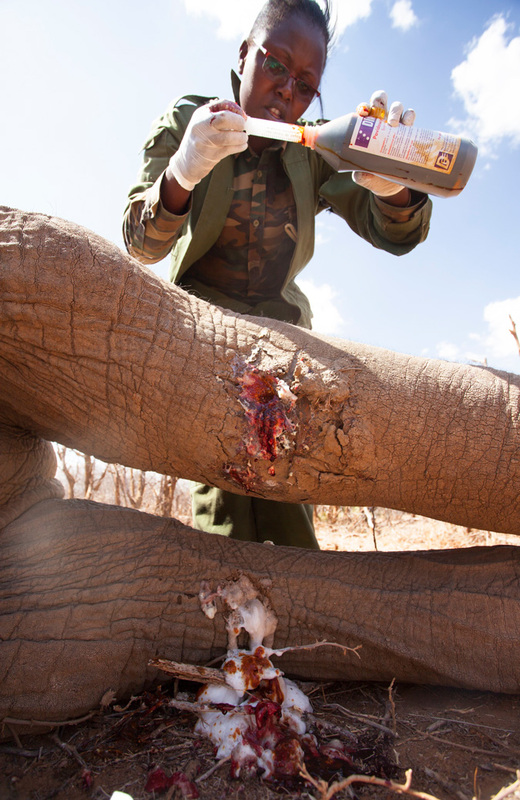 The wound looked extremely serious; we needed a vet – immediately. The ever-reliable David Sheldrick Wildlife Trust answered our call, mobilised their resources, chartered a plane and flew in a KWS team from Nairobi within a few hours. As the dust settled on the runway, Dale checked in with the rangers to find out exactly where the bull elephant was. With the rangers keeping a close eye on him we managed to find him quickly. His movements were labored and he looked to be in incredible discomfort, but only a closer look would allow us to decide on the best course of action. 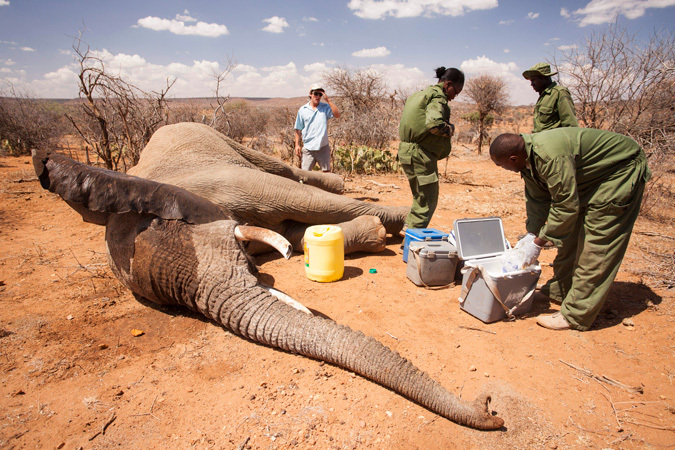 Njoroge, the KWS vet, loaded his dart gun with the sedation drug as Dale carefully guided us in. Njoroge pulled the trigger and the bright pink feathered dart shot through the air, lodging itself in the elephant’s rump. We hung back while the drug took effect; the elephant became drowsy and eventually went down. We moved in quickly. The elephant went down on his chest, staring at us in confusion. It took four men to push the six ton animal over onto his side so that he could be treated safely. The bullet had entered the front of his left back leg, just above the knee joint, seemingly hit the bone and deflected out via an exit wound. Dale and the vet carefully checked his leg; it was incredibly swollen but they couldn’t feel any broken bones. Despite a wound that had been festering for several weeks he was lucky. A shattered bone would have been a death sentence. 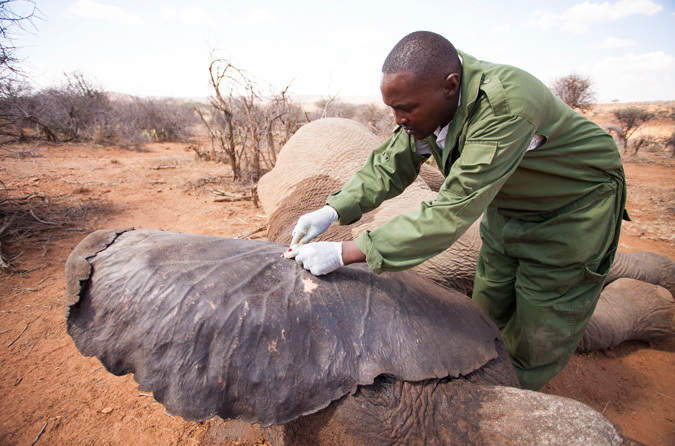 The KWS team carefully cleaned out all the puss and dead tissue from the wound before administering a healthy dose of antibiotic and iodine. A special type of cement was used to fill the entry and exit holes to keep it free from infection. We had done all we could. Born in the Netherlands but raised at the end of a tarmac road in a remote Ugandan village, Maurice was always going to end up living in Africa. After a brief stint in Europe he returned to this great continent to pursue a Master's in Conservation Biology at the University of Cape Town, which was followed by several years of traipsing across the globe in search of adventure and stunning wild places. For the last few years Maurice has been based in Kenya and is working towards securing a future for African elephants and the landscapes on which they depend. 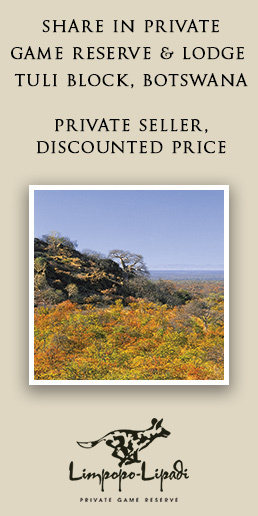 He is a passionate conservationist, amateur explorer and his camera is always with him! You can follow more of his adventures on Facebook, Instagram, and on his website. ‹ Six Swahili food dishes you won’t want to miss!